Catholic Answers Press, one of the Church’s fastest growing publishing houses, continues to pump out top-grade Catholic literature for today’s New Evangelist: including Tim Staples’ newest power-packed defense of Marian doctrines, Behold Your Mother: A Biblical and Historical Defense of the Marian Doctrines. Right understanding about Mary leads to right understanding about Christ. This is Staples’ underlying thesis. For today’s Catholic – and especially today’s Catholic apologist, whether professional or amateur – this comprehensive defense of Marian doctrines is an essential addition to the book shelf. It’s also a great book for the adventurous, intellectually curious Protestant whose willing to ‘take the plunge’ into Catholic teaching as a thought experiment. In The Catholic Catechism, Fr. John Hardon asserts that Christology is unintelligible without knowing about Christ’s mother. In the initial chapters of Behold your Mother, Staples begins to unpack how this statement is true. “Errors about Mary lead to errors about Christ”, writes Staples, and he uses examples from some of today’s top Protestant apologists to demonstrate his point. Staples begins by exploring Mary’s identity as the literal mother of God. Using the terminology formally affirmed by the Council of Ephesus in the fourth century, Mary is called the Theotokos or God-bearer. This is synonymous with her dogmatic title, Mother of God, which many Protestants balk at. How can Mary be the mother of the eternal God, they ask? By conceiving him in her womb, replies the Catholic. “The Word became flesh” writes St. John in his Gospel. But was the enfleshed God one person or two? One of course – in the beginning was “the Word”; not “the Words”. So if the person of Jesus was always divine, and Mary bore him in her womb, delivered him and raised him – is she not rightfully called the mother of God? Staples demonstrates that by seeing Mary as the mother of God, we can see Jesus more clearly as he really is. Mothers are mothers of persons, not bodies. Mary conceived Jesus the person, not Jesus the body. And Jesus had a body because of his human nature – but Jesus was always a divine person, never less than God. He was never not God. Natures are not persons and this is where the Protestant begins to trip in their reasoning, as Staples’ shows. They fail to make the distinction between a person (who you are) and nature (what you are). Who Jesus was was God. What Jesus was was God and man. Jesus was the God-man: and Mary conceived and bore him in her womb. Needless to say, while making his defense with clear logic and seasoned expertise, he tosses in a bit of humor to illustrate some of his points, and this makes the book as fun as it is informative. 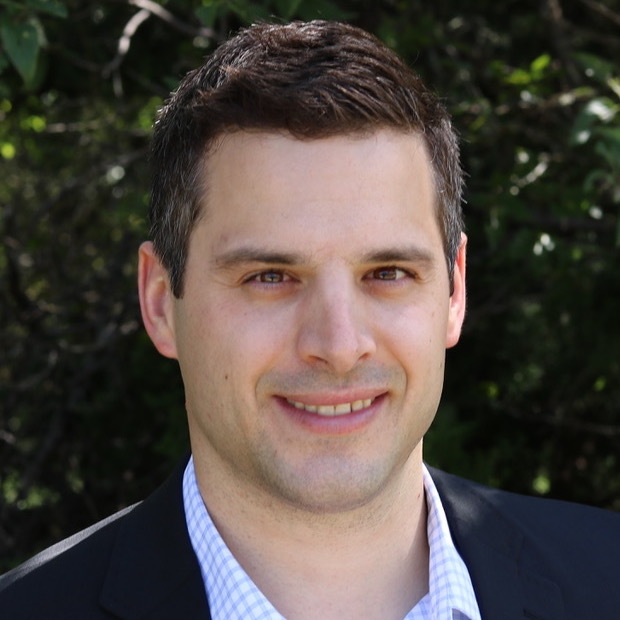 Anyone who has heard him on Catholic Answers Live will hear the words in Behold Your Mother ring right off the page in the same entertaining – and educating – tone. St. Luke’s gospel is a rich gold mine for insight into who Mary is. As such, Staples cracks open this Gospel to expose the inner radiance that it sheds on Mary’s true person; and he sheds fresh apologetical light on popular passages we are all likely familiar with. Mary is one of the lucky few who is given a new name by God himself in the Sacred Scriptures (some others are Abram, Jacob and Simon Peter). Her new title comes via one of his messengers, the angel Gabriel. The angel’s greeting to Mary of “Hail, full of grace” is not, in fact, a mere greeting. It is also the unveiling of a new “name” for the young Jewish girl. God has chosen Mary to carry out his mission in a singularly special way – and he has seen it fitting to “fill her with grace” perfectly and permanently. From the opening scenes, including the scene of the Annunciation, Staples shows how the Bible points towards a sinless Mary, the result of an immaculate conception made possible by her son’s atoning death on the cross years later (God is unbound by time, so infusing Mary with saving grace “in advance” of Christ’s death and resurrection is mere peanuts). Eventually, of course, Staples begins to examine the dogma of the Assumption: that Mary was taken up into heaven body and soul at the end of her earthly life. This, as he emphasizes, is a historical event which is “alluded to in Scripture and has been believed in the Church for 2,000 years” (p.217). As Staples recounts, assumptions are not unheard of in Scripture (although Mary’s is not explicitly recorded there). Enoch and Elijah, for example, were lifted up into heaven bodily; and Mary, who was identified by the early Church Fathers as the “Ark of the New Covenant” and who is clearly paralleled with the Old Testament ark of the covenant by St. Luke (read 2 Sam 6:1-11 and Luke 1:39-56 side by side), is evidently alluded to in Rev 11-12 as “the woman” in heaven. Systematically and with precision, Staples unravels these profound proofs of Mary’s bodily assumption into heaven. He also provides early Church evidence (from St. Gregory of Tours, for example). Although we no longer have any explicit mention of Mary’s assumption from the first few centuries (they have likely been lost), we also have no evidence of a Church backlash against “heresy” when Mary’s assumption finally appears in the early writings. Moreover, as Staples mentions, we have no bodily relics of Mary even though the keeping and reverencing of such relics were common from earliest times. Also mentioned on numerous occasions throughout the book is a debate that had profound influence on Staples as a Protestant: a debate between Fr. 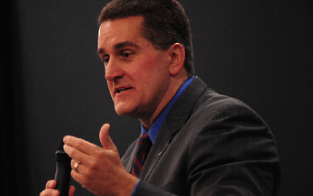 Mitch Pacwa and Walter Martin on the Marian doctrines. As Staples recounts, although he was rooting for Martin as a passionate non-Catholic, he was crushed by the fact that Fr. Pacwa seemed to have the better arguments. See the debate here. Additionally, in his famous and highly popular conversion story, Staples describes how the early Church Fathers influenced his reluctant conversion to Catholicism. The Church Fathers are undoubtedly Catholic, through and through, and for Staples along with many other converts from Protestantism, the discovery and honest reading of the early Christian writings catapulted him in the direction of the Church he did not want to enter; the same Church he now loves and serves with all his strength. There is no shortage of early Church writings in Behold Your Mother. In addition to the chapters, there is a rich collection of writings from the Fathers in the appendix! There are two ways to read this book: with a pencil or without. I recommend (along with Mortimer Adler) with. Make this book your own in every way and grow in knowledge of your Mother. 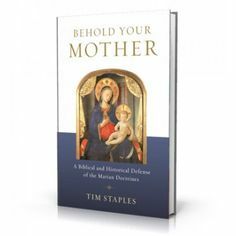 The more you know about her, the more there is to love, and this book is undoubtedly Tim Staples’ letter of love and affection to his heavenly mother and Queen. This book is a lifetime cache of indispensable information. It is accessible but deep, academic but lively. Catholics of every level of expertise and knowledge will benefit from this book. Behold Your Mother, undoubtedly, is one of the fruits of Staples’ grueling transformation from an anti-Catholic Protestant to a Catholic apologist extraordinaire. Get Behold Your Mother here. For my latest post on Our Lady, click here. Next Post Communion In The Hand?